March’s tree of the month will be the center of attention around the District in the coming weeks: it’s the Yoshino cherry, the star of the National Cherry Blossom Festival that will kick off March 20 and run for almost six weeks. Yoshino cherries are famous for the ethereal beauty of their delicate flowers, which bloom pale pink and then turn white over the course of the two weeks that the trees blossom. This generally occurs late March or early April, and the National Park Service is predicting that this year the infamous cherry trees will hit peak bloom March 24 and blossom through March 31. Peak bloom is the period that when 70 percent of the blossoms are open. The National Park Service said the mild winter didn't affect the timing of the bloom, but too many more warm days like today could speed up the blossoms' clock. 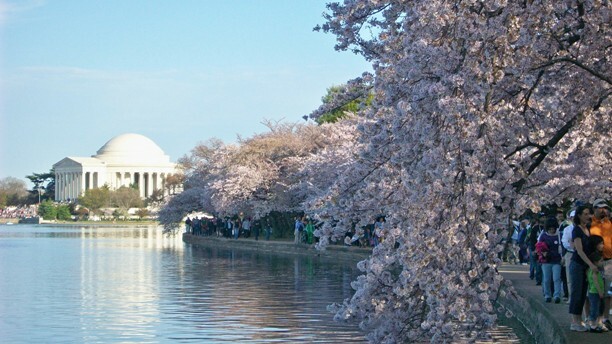 This year is an especially significant year for the festival, as it marks the 100th anniversary of the original planting of 3,020 Japanese cherry trees in the Tidal Basin. Remarkably, you can still admire some of the centenarian trees, most notably the two planted by First Lady Helen Taft and Viscountess Iwa Chinda, wife of the Japanese ambassador. Look for the bronze plaque on the northwest side of the Tidal Basin commemorating that event. Photo courtesy of National Cherry Blossom Festival. 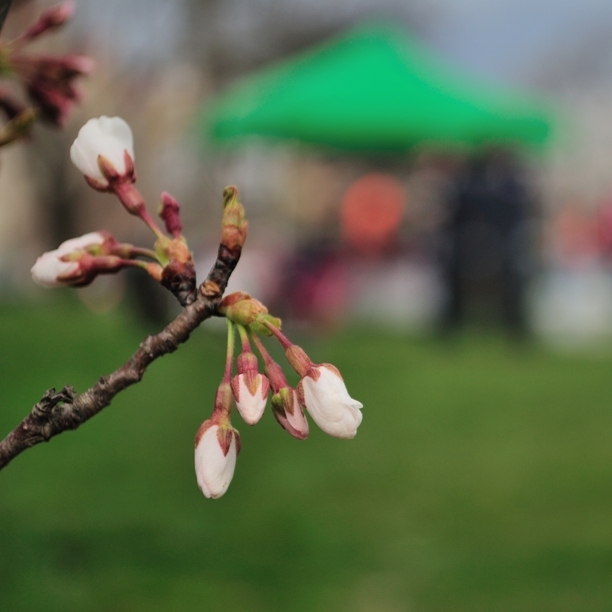 And keep an eye out for the cherry trees wewill be planting in partnership with the National Cherry Blossom Festival this spring, located in schools and parks around the District.